We propose a framework, consisting of several algorithms, to recognize human activities that involve manipulating objects using a Kinect camera. Our algorithm identifies objects being manipulated and models high-level tasks being performed accordingly. 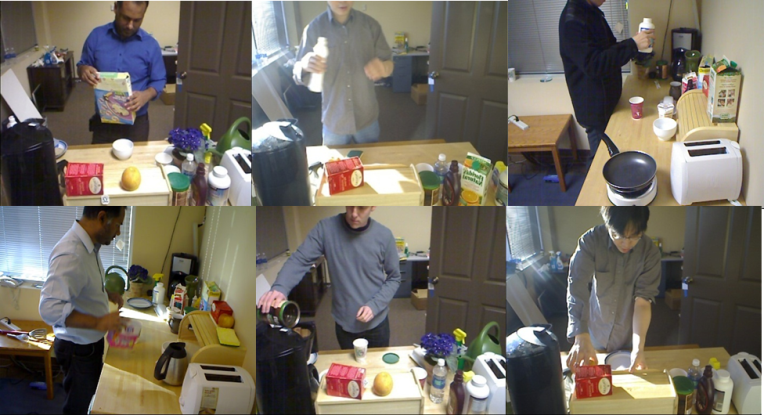 We evaluate our approach on a challenging dataset of 12 kitchen tasks that involve 24 objects performed by 2 subjects. The entire system yields 82%/84% precision (74%/83% recall) for task/object recognition.